The Coral Beauty Angelfish, also known as the also known as the Twospined Angelfish, Dusky Angelfish. 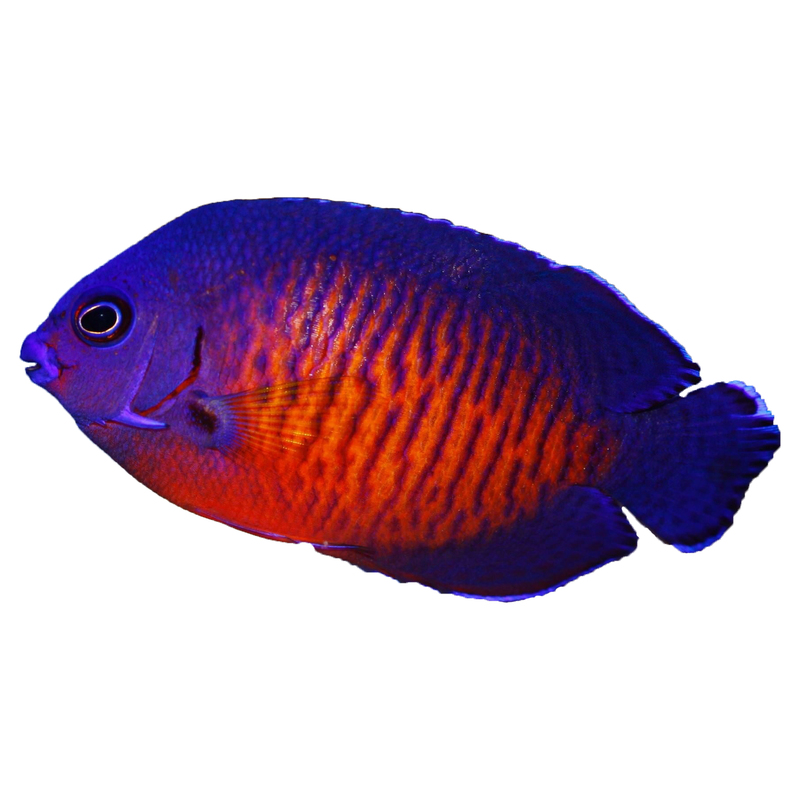 The Coral Beauty Angelfish is one of the easiest of pygmy angels to care for. It has a primary dark blue color with hues of orange. To be successful with the Coral Beauty Angelfish it is suggested you have a well-established 55 gallon or larger tank with plenty of live rock for hiding and grazing. It should be fed a diet of Spirulina, dried seaweed and meaty foods, such as mysis. The Coral Beauty is relatively docile to both other fish and invertebrates and rarely nips at coral when fed regularly. If you would like more than on be sure to add them at the same time.